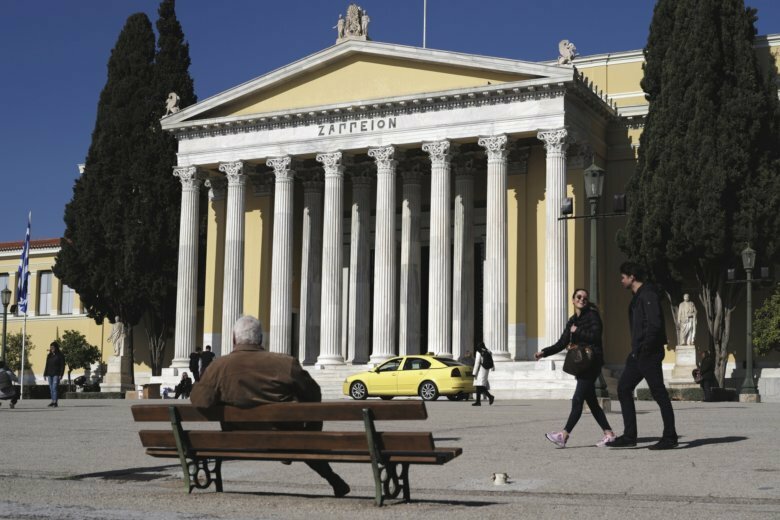 ATHENS, Greece (AP) — Greece said Monday it is planning to issue a 10-year bond, in its second test of financial market confidence in the country since it officially exited its international bailouts in August. The Public Debt Management Agency said the issue, which comes on the heels of a credit upgrade, would be launched “in the near future” subject to market conditions. In January, Greece raised 2.5 billion euros ($2.85 billion) through a healthily oversubscribed five-year bond. Although the country has a cash buffer of more than 26 billion euros, which would keep it going for a couple of years without issuing new debt, the government is keen to gradually normalize its access to capital markets through bond sales. Greece last issued a 10-year bond in 2010, shortly before the country’s first bailout. The debt management agency has said it plans to issue 5-7 billion euros in benchmark bonds this year. The timing also seems good to raise money: the yield on Greece’s 10-year bond was 3.6 percent on Monday, the lowest in over a decade. The announcement of the 10-year issue follows Friday’s two-notch upgrade of Greece’s credit rating by Moody’s ratings agency, from B3 to B1 with a stable outlook. Although that is still well below investment grade, the upgrade offers a boost to market confidence. Moody’s cited the country’s progress with economic reforms, strong fiscal performance and improved public debt sustainability following a relief package by European creditors last summer. “While progress has been halting at times, with targets delayed or missed, the reform momentum appears to be increasingly entrenched, with good prospects for further progress and low risk of reversal,” Moody’s said. The agency added that the reforms are “slowly starting to bear fruit in the economy,” with a boost in exports, better competitiveness and employment growth. The left-wing government came to power four years ago pledging to end bailout-linked austerity cuts and reforms. But Prime Minister Alexis Tsipras abruptly backtracked months later when it became clear that this would force the country into a catastrophic exit from the European currency club and, potentially, the European Union. Moody’s said the risk of “a material reversal” of reforms already implemented was low, whatever the outcome of parliamentary elections expected by October this year. “The most politically painful measures have already been enacted, with the economy finally showing signs of recovery, reducing the incentives for any future government to jeopardize the hard-won gains,” it said. Opinion polls show that Greece’s conservative, main opposition New Democracy party would easily win the national election, but it is unclear whether it would gain a large enough majority to govern alone.